Author(s) Yang, Grace C. H.
This practical text and color atlas tells the story of 350 patients, covering a wide range of thyroid lesions with high quality composite images that correlate cytology with histology, and radiology with pathology. Each case includes clinical presentation and final pathology. Concise, easy-to-read text enables readers to quickly find the information they need for accurate diagnosis. 'Lookalike' lesions are grouped together so the subtle cytological differences can be appreciated. The author's practical approach explains mistakes made and lessons learned, so diagnostic pitfalls can be avoided. Triage algorithms and over 2000 printed photomicrographs are provided. The print book is accompanied by a CD-ROM offering images in downloadable format. 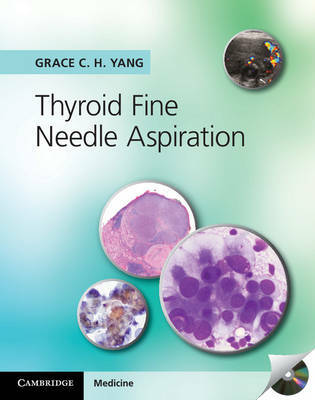 Written by a leading cytopathologist who has performed onsite assessment for over 10,000 ultrasound-guided thyroid fine needle aspirations, this is an important resource for all healthcare professionals dealing with thyroid patients, including cytopathologists, surgical pathologists, cytotechnologists, sonographers, radiologists, endocrinologists and surgeons.